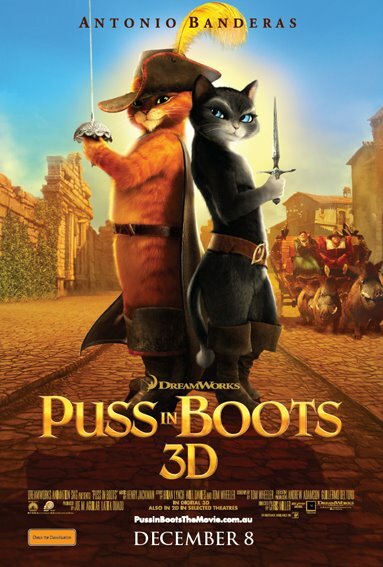 Puss in Boots (directed by Chris Miller) is the latest film in the Shrek universe from DreamWorks Studios, in which we see how Puss became the legendary lothario we know and love. We first meet Puss (Antonio Banderas) as he attempting to relieve Jack (Billy Bob Thorton) and Jill (Amy Sedaris) of magical beans; however his efforts are thwarted by the seductive Kitty Softpaws (Salma Hayek) shortly after this encounter we learn that Kitty Softpaws is working with Humpty Dumpty (Zach Galifianakis) who is the brother of Puss. The trio then set off on an adventure to steal the beans together and far more precious treasure. This is Antonio Banderas’ film from beginning to end; the initial casting back in 2004 for Shrek 2 was a master stroke. He perfectly represents the bravado, cheekiness and passion of such a fiery feline. It helps that Senior Banderas is one of the coolest cats (appalling pun) in Hollywood sadly he wasn’t supported well by the other cast members most noticeably Salma Hayek who is sleep walking through her performance. The only real highlight comes from an encounter Puss has with Jack (of Jack and the Bean stalk fame) in prison with some questionable behaviour on Jack's behalf. Puss in Boots is in cinemas nationally on December the 8th. 2001’s Shrek was an outstanding film because it took two characters that weren’t affiliated with any other fairytale and walked them through a world dripping with witty pop culture references and humour that entertained children and adults alike. This is where Puss in Boots falls well short of its older brother, where Shrek has the relationship between Shrek and donkey, Puss in boots sees Puss and Humpty Dumpty filling the roles of squabbling heroes. Except their chemistry is not interesting, we are shown their back story in which they met in an orphanage and were bound together in their hunt for the magical beans as mentioned in the jack and the bean stalk fairytale. They constantly get themselves in trouble with the other children of the orphanage and eventually the law. This all just feels forced and convenient. 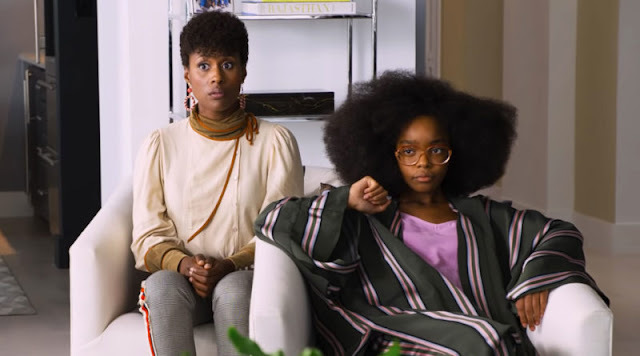 The problem with this film is that it uses fairytale characters we know and tries to put a twist on them. Jack and Jill are usually portrayed as sweet and innocent children are now red neck ogre like creatures who drive around in a carriage pulled by demon like warthogs, Humpty Dumpty is a conniving inventor of strange contraptions and the introduction of Kitty Softpaws just doesn’t work. The animation was disappointing considering that DreamWorks were one of the first studios to break away from the Disney/Pixar style and have shown over the last few years that they can produce gorgeous titles such as King Fu Panda (2008). Yet again we are forced to watch a film in 3D which doesn’t take advantage of the very fact that it’s in 3D, even more frustrating is that Puss is known for his sword fighting prowess, it would have been far more entertaining to have a sequence in which the 3D could have been exploited with a sword fight. The biggest issue in relation to the 3D aspect of the film is that it appears the studios are prepared to accept higher ticket prices for screening in 3D but they don’t want it looking like a gimmick by having things flying towards the audience which is the best part of the 3D. Everyone can remember the first time they watched a 3D film, it was usually a novelty where someone was either hitting a ball on a string at the audience or throwing plates or some other cheap trick to make it look like it was really going to hit us, this is all 3D should be. It doesn’t take 3D to add depth to a shot or enhance the experience. This can all be done with traditional film making techniques. Whereas Shrek had a definite villain being the fabulous Lord Farquaad, Puss in boots chooses a completely different path to take which involves plot twists which aren’t necessary. Combined with the fact that there is no tension to the action sequences the eventual reveal of the villain leaves a bad taste in the mouth. Maybe Puss in boots is just a light and fluffy film for kids over the holiday period, unfortunately due to the wit and charm of the original Shrek we can expect more from Dreamworks, sadly Puss in boots feels exactly as if it’s standing on Shrek’s shoulders and adding very little to franchise.